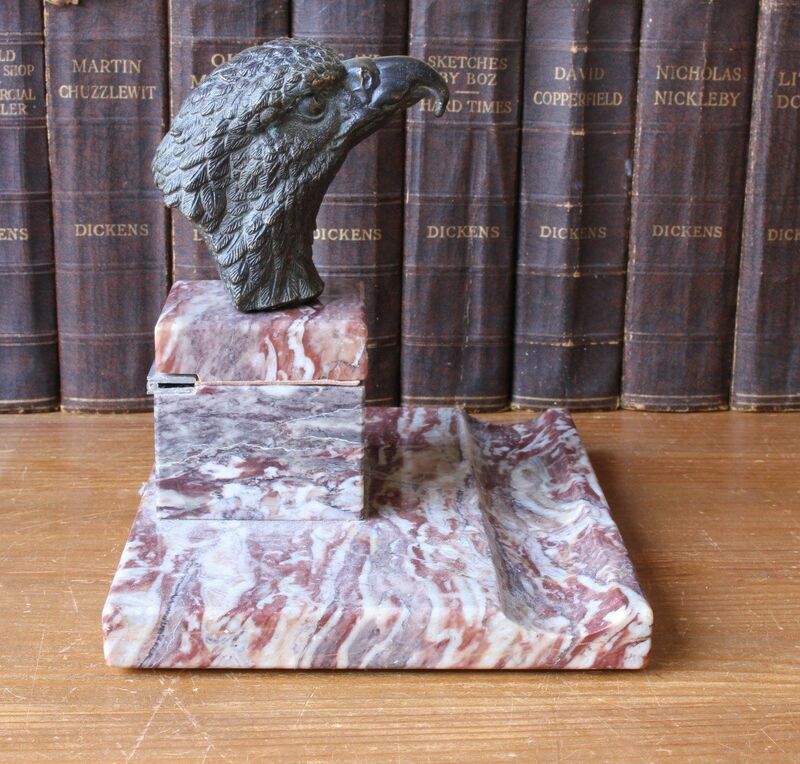 Art Deco Marble Desk Stand Inkwell Pen Tray with Bronze Eagle Head c1930. 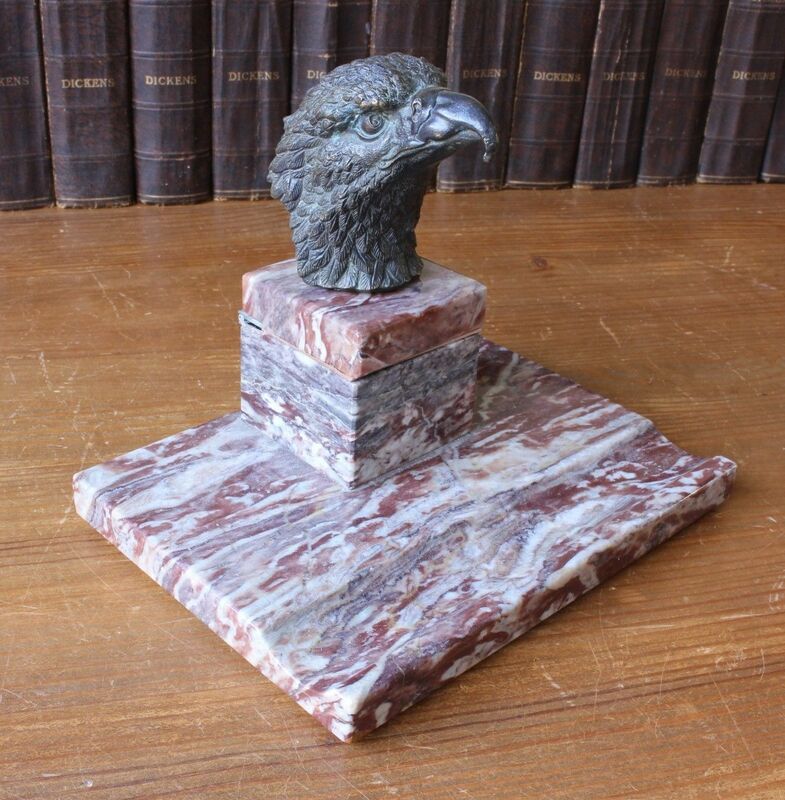 This handsome Art Deco desk stand inkwell which is made of burgundy brown marble has a pen holding tray to the front and has an impressive later fitted bronze eagle head to the hinged lid which opens to reveal a white ceramic inkwell. 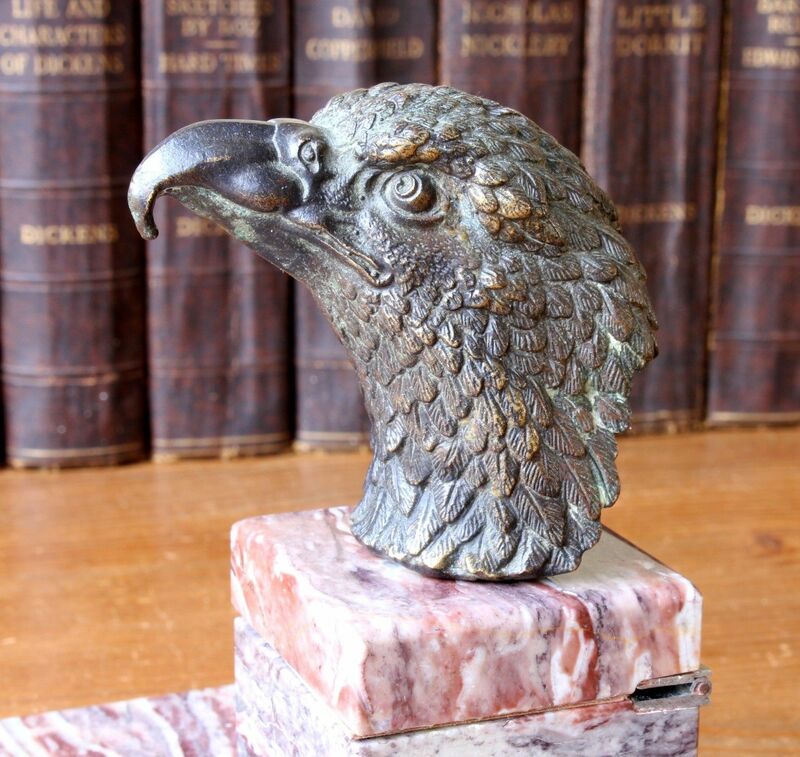 This elegant eagle head inkwell is excellent quality, weighs 2 kg and looks stunning on a desk. 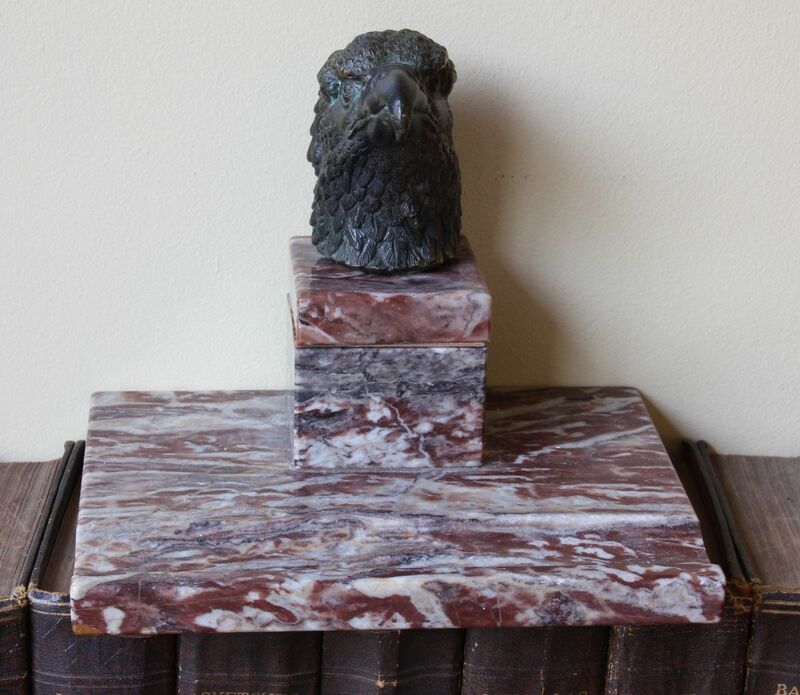 Size: W 19 cm - 7 1/2". D 14.5 cm - 5 1/2". H 15 cm - 6" approx. Condition: Good antique condition with only light signs of use. 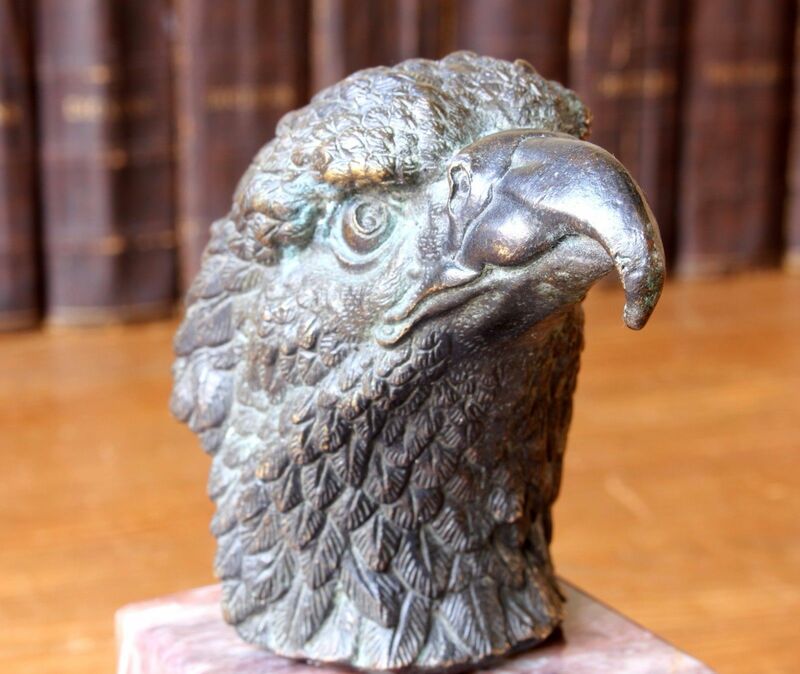 Some small rubbed areas and verdigris to eagle head. 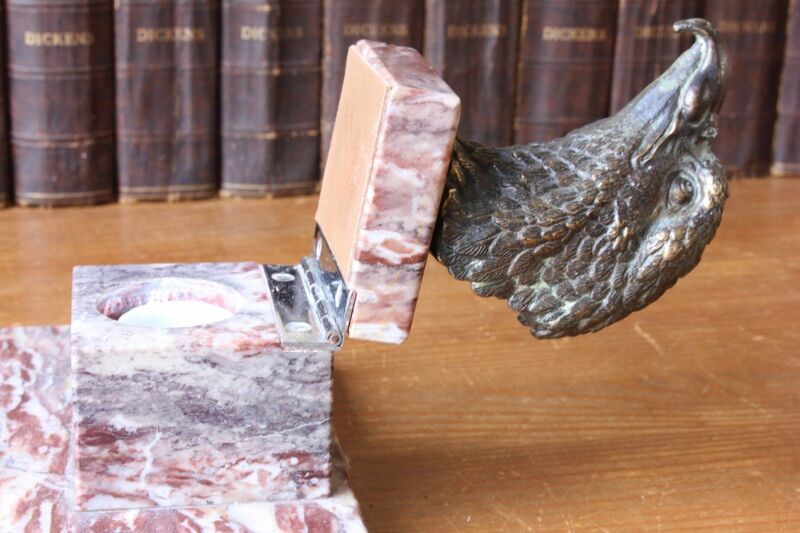 A few very small nibbles to the inside top of the inkwell compartment. The white ceramic inkwell is a replacement. Please see pictures.